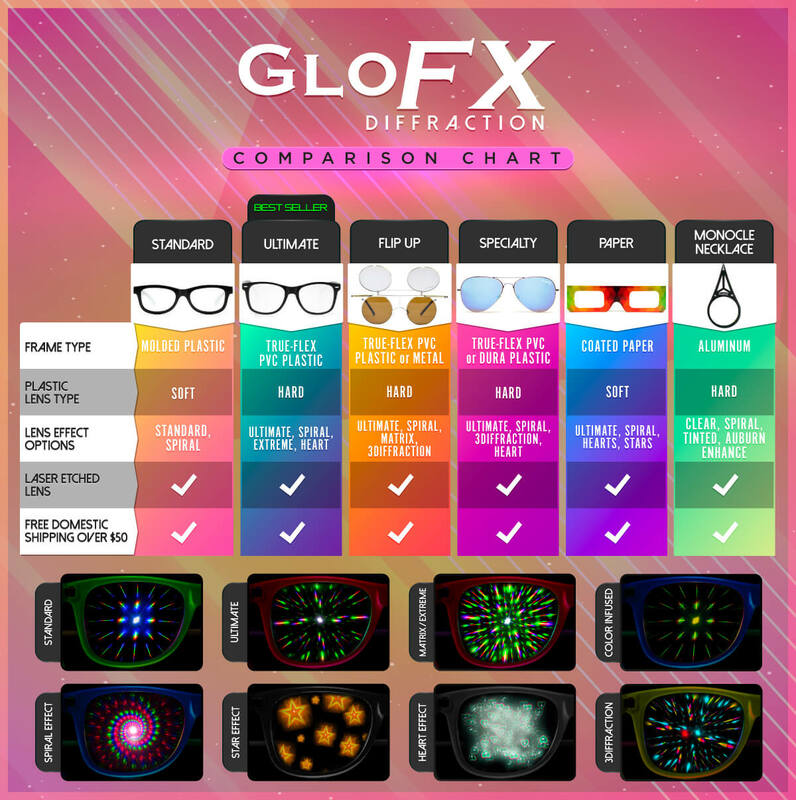 Another exclusive pair of diffraction glasses from GloFX . Our Pot Leaf Diffraction Glasses are designed for those who want to make their diffraction style stand out as loud as anything else you might possess. With a unique green weed leaf patterned across our True Flex PVC Frame, these glasses are sure to grab the attention of any on looker. Call it indica, kush or even marijuana diffraction glasses, whatever your preference these glasses are sure to enhance anyone’s style. Like always, our Ultimate Diffraction Glasses feature an industry leading True Flex PVC Frame, as well as our stainless steel hinges to bring you durability and style in one package. you can’t go wrong with these frames so pick up a pair today!